when i first started this blog, i thought i would only post about full-fledged recipes, mostly to streamline my focus. but there are too many things that i get excited about and want to share, so i’m creating two other outlets, the first being “i love you, …” where i will be highlighting something, someone, or some place food-related that makes me very happy. 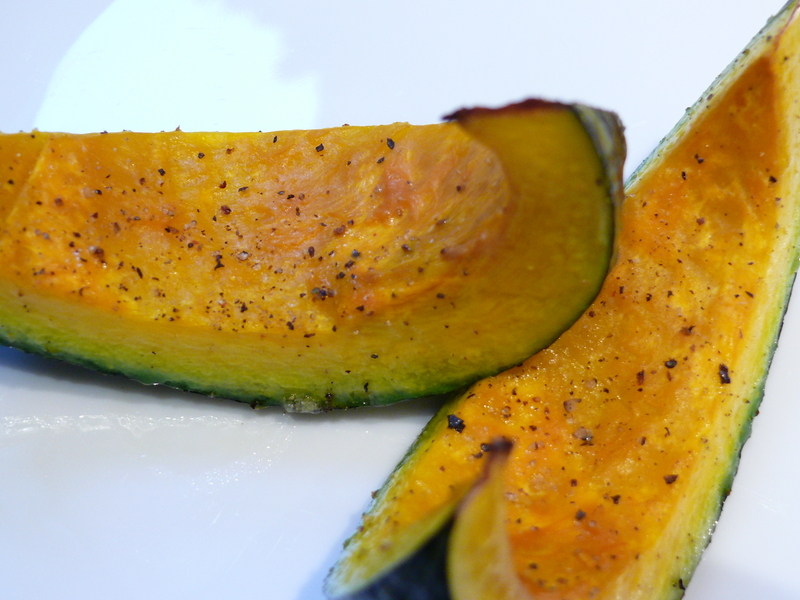 today, i love kabocha squash. 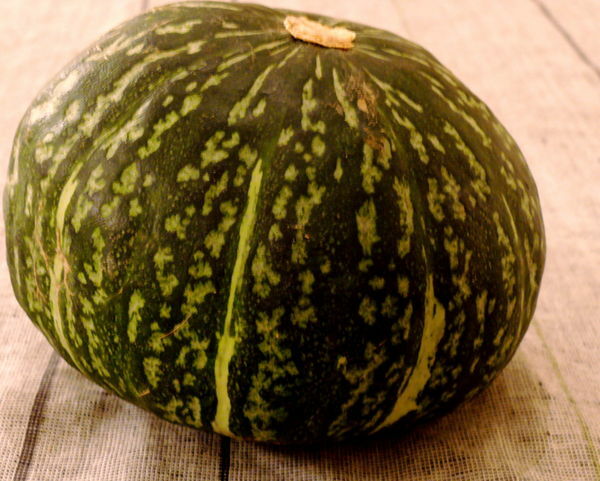 this hard-skinned, dark green gourd is a japanese squash. but it also makes a great substitute for sometimes harder to find pumpkin, called for in east or west indies dishes. for instance, my friend used kabocha in place of pumpkin in her spicy jamaican “pumpkin” soup (which was so delicious! i should ask her if i can post that recipe here…), and it was the perfect substitute. i’ve found the texture holds up better than butternut squash or yams after a long time in the oven or in a stew. i don’t need a recipe to enjoy them. sliced, seeded and roasted with a little olive oil, salt and pepper, i could snack on a wedge as soon as it’s cool enough to touch. and speaking of snacks, hang onto those seeds. rinse and dry them, then toss them in a little melted butter (i really prefer these seeds roasted with butter rather than olive oil), and a little salt and pepper, and roast in the oven. they make a rich, buttery snack–a little more indulgent than your 1/4 cup of raw almonds. you deserve it. you were just snacking on squash after all!